HEALTH MINISTER SIMON Harris has today appointed thirteen members of the Counsellors and Psychotherapists Registration Board. This new board will seek to protect the public by ensuring high standards of professional conduct, education, training, and competence amongst counsellors and psychotherapists – including counsellors working for “rogue” crisis pregnancy agencies. The role of these agencies operating in Ireland was highlighted again recently when a woman who had a medical abortion was later contacted by someone using a phone number linked to an ‘abortion counselling service’ that the HSE has warned against. The board is tasked with advising the minister on what professional titles should be protected under law. The members will now begin a “substantial body of work” before it launches its register, said the minister. Once the board has opened the register, existing and new practitioners will asked to sign up. If a person does not meet the standards necessary, they will not be able to register with the Health and Social Care Professionals Council (CORU). “It is absolutely vital that users can have confidence in the service they receive. We have seen the impact of rogue operations in undermining faith in the profession. “It is absolutely vital this area is regulated to ensure adequate supervision of the profession and to ensure its users are protected,” said Harris today. 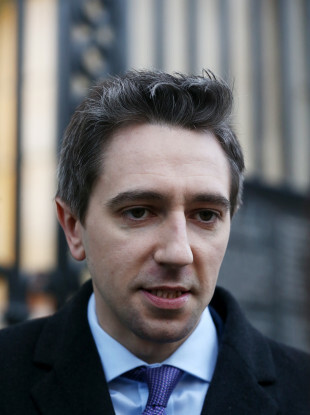 Harris has previously stated that the ultimate aim in registering counsellors and psychotherapists, particularly in respect of crisis pregnancy counselling, is that once the register is open and populated, titles protected and qualifications set, other legislation can be amended. The Regulation of Information (Services Outside the State For Termination of Pregnancies) Act 1995, which is being reviewed as part of a wider exercise on the Eighth Amendment, would be amended to ensure that anyone providing such information services must be registered with the Health and Social Care Professionals register. Email “Minister appoints counsellor board that will deal with 'rogue' psychotherapists and crisis pregnancy agencies”. Feedback on “Minister appoints counsellor board that will deal with 'rogue' psychotherapists and crisis pregnancy agencies”.